rso — b o b b y.
a brandcenter professor organized out-of-the-classroom projects for local nonprofits, one of them being the richmond symphony orchestra (rso). the rso asked us to help them attract younger and more diverse audiences. rso was not alone, orchestras across the country have been trying to attract younger and more diverse audiences. this was a cultural problem -- we found that people didn’t know how to appreciate or participate with classical music anymore. at the same time, on the local level, the rso was diluting their brand by sending mixed messaging. as a the buckets encouraged makes the brand easy to approach, easy to understand, and easy to grow with. 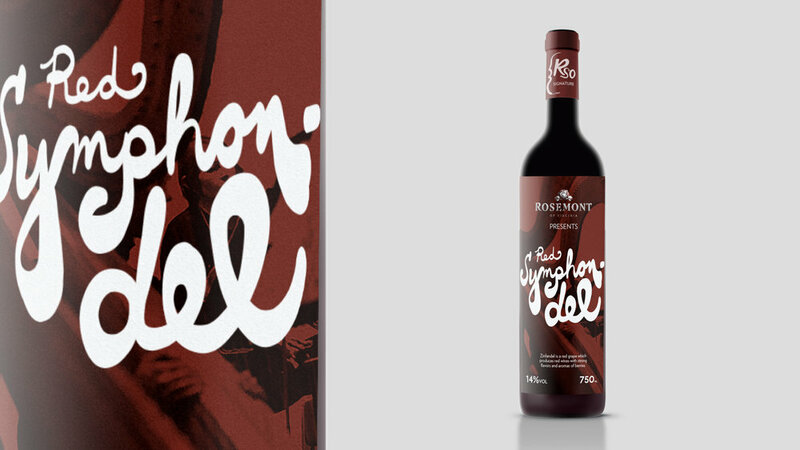 , encourages active participate, and elevates the art form. "symphony" had a negative stigma so we shortened it to rso which was what the organization was commonly referred to internally. we streamlined all of the organization’s programing into three distinct and defined experience buckets. no one knew how to participate. for example, the relaxing of theatre's dress code sent a mixed message because people would still arrived in gowns. younger people didn't mind getting dressed up as long as it is part of the experience. 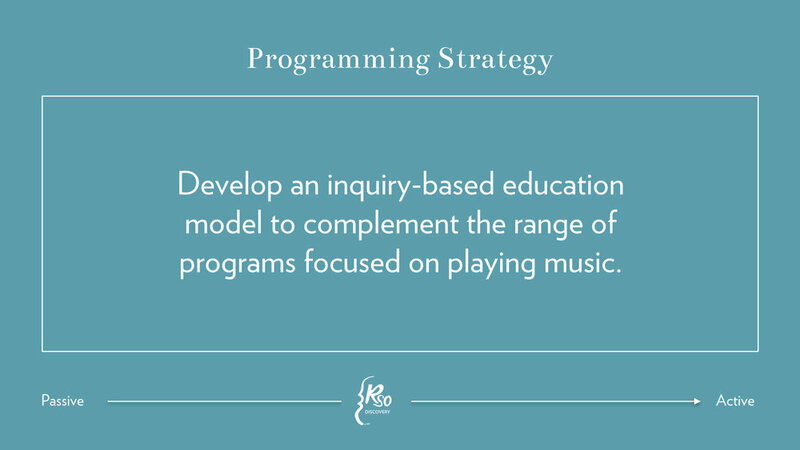 we allowed progression for rso's audience in the model. 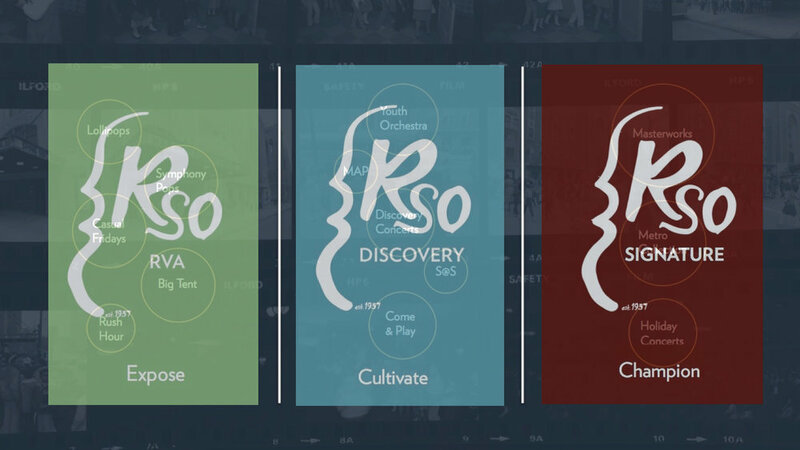 the rso is incorporating our ideas into their branding. one of the board members became a mentor. jessica, the art director, and i worked closely together. we talked to many people, all having different stakes in the symphony: the director, board members, the musicians, the staff, and audience members. we also dug through the symphony's archives dating back to the 50s.